Can’t get enough info on how to make your own visual story projects? I don’t share the contents of my emails anywhere else. If you want to stay up to date on all things Pencils and Stories, and have weekly inspiration and motivation send straight to your inbox, then you want to join in the fun! My email list subscribers are my exclusive community. 10 tips that will help you start and finish your personal projects. I know these insights work. For years I was stuck and didn’t know how to start the story I had in my head back then, or any other project. I didn’t know how I could see a big project through and was discouraged at every setback. 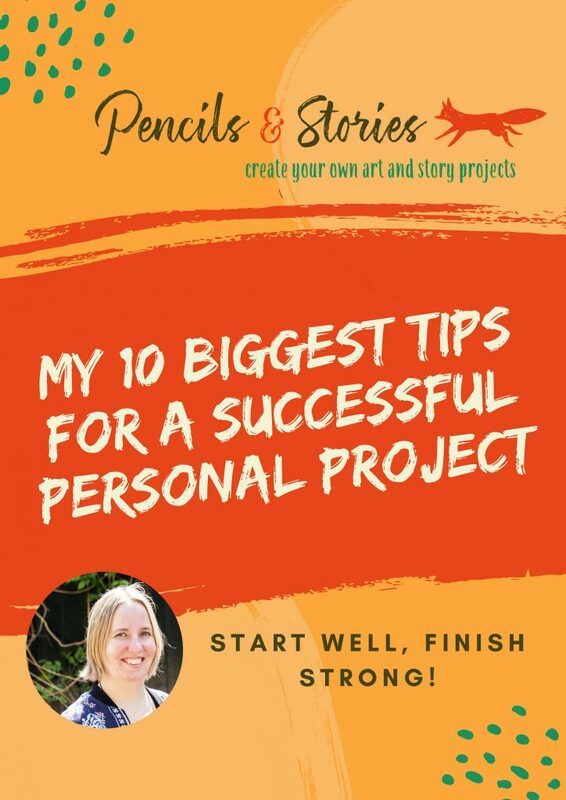 This e-book contains the things I have learned that have changed how I look at working on my art and my personal projects and, most importantly, helped me out of art block and into content creation on a regular basis. Today, I manage a weekly webcomic and a website with a Youtube channel. I write content for social media and I put out videos on Instagram. These tips will help fuel your motivation and give you direction when you’re so in the middle of things you can’t see the forest for the trees anymore. You can print out the check list and hang it up to remind you of what’s important. You can refer to the short paragraphs about each item on the list when you need more info on how to get started, what to focus on and how to continue. Put in your name and email address and please let me know what content you would like to receive and the e-book will be send to you! I’d love to welcome you to the Pencils & Stories community!